What are the Stages of Opiate Withdrawal? Whether using opiates for treatment purposes or on a recreational basis, there’s always a risk of developing opiate withdrawal symptoms, especially when drug use is ongoing. While opiates work well as pain-relief agents, they can still offset the brain and body’s systems, with withdrawal episodes developing along the way. In effect, opiate withdrawal symptoms play a pivotal role in perpetuating drug using behaviors and laying the groundwork for addiction to develop. Knowing when to seek out needed treatment help can go a long way towards avoiding the pitfalls and destruction that come with a developing opiate addiction. If you have questions about opiate withdrawal treatment, feel free to call our toll-free helpline at 800-429-5210. The pain-relieving properties of opiate drugs result from how opiates stimulate neurotransmitter chemical production throughout the brain and central nervous system. Chemicals, such as dopamine and serotonin regulate many of the body’s major systems, including thinking and emotions. During the course of opiate abuse, brain chemical imbalances start to take shape in response to opiate’s ongoing presence in the brain’s chemical system. Opiate withdrawal symptoms develop out of these imbalances and so reflect the brain’s growing dependence on opiate effects. Insomnia is common during opiate withdrawal. More often than not, a person will resort to using more of the drug in order to gain relief from uncomfortable withdrawal symptoms. Opiate withdrawal symptoms play an active role in perpetuating continued drug use and ultimately driving the opiate abuse cycle. According to Harvard Health Publications, the brain develops an ongoing tolerance for opiates, so a person has to keep increasing his or her dosage amount in order to experience the drug’s desired effects. Next comes physical dependence where opiate withdrawal symptoms develop. From there, opiate effects start to interfere with the brain’s reward system, at which point the makings of addiction are at work. In effect, rising tolerance levels, physical dependence and addiction all work together to support and increase drug-using behavior. After so many months of opiate abuse, a person’s overall physical and mental well-being starts to decline making it increasingly difficult for him or her to fulfill work obligations or enjoy time with friends and family. Sleepless nights and growing feelings of depression eventually take a toll on person’s motivation and drive. Before long, the need for the drug starts to take priority in a person’s life resulting in missed days at work and less time spent with friends and family as opiate withdrawal symptoms increase in intensity and frequency. Add to this a growing addiction problem, and compulsive-drug using behaviors eventually take over a person’s daily life. Ideally, seeking treatment help during the early stages of opiate abuse can help avoid future problems. Once opiate withdrawal symptoms start to cause real problems in your daily life, the need for drug treatment help becomes more and more apparent. If you’re considering getting drug treatment and need help finding a program that meets your specific needs, call our toll-free helpline at 800-429-5210 to speak with one of our addiction counselors. When Does Withdrawal from Opiates Require Professional Treatment Help? 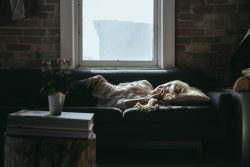 3 Signs That You May Need Methadone Treatment Help - Once opiate addiction sets in, it can be nearly impossible to stop using on your own. Methadone treatment provides the support necessary to become and remain sober. What Are Opiates? - Opiates come in the form of a variety of legal and illegal drugs that all carry the potential for abuse and addiction.